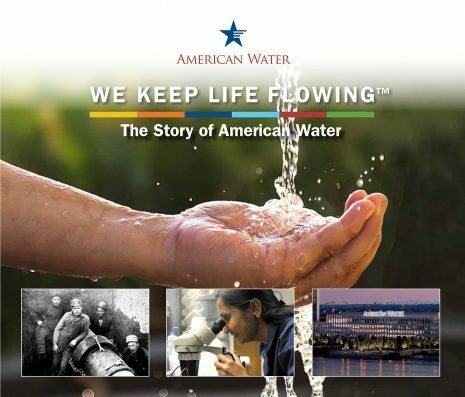 We Keep Life Flowing™: The Story of American Water tells the vibrant story of the largest and most geographically diverse publicly-traded U.S. water and wastewater utility company. Founded in 1886, American Water provides clean, safe, reliable, and affordable water services to an estimated 14 million people in 45 states and in Ontario, Canada. 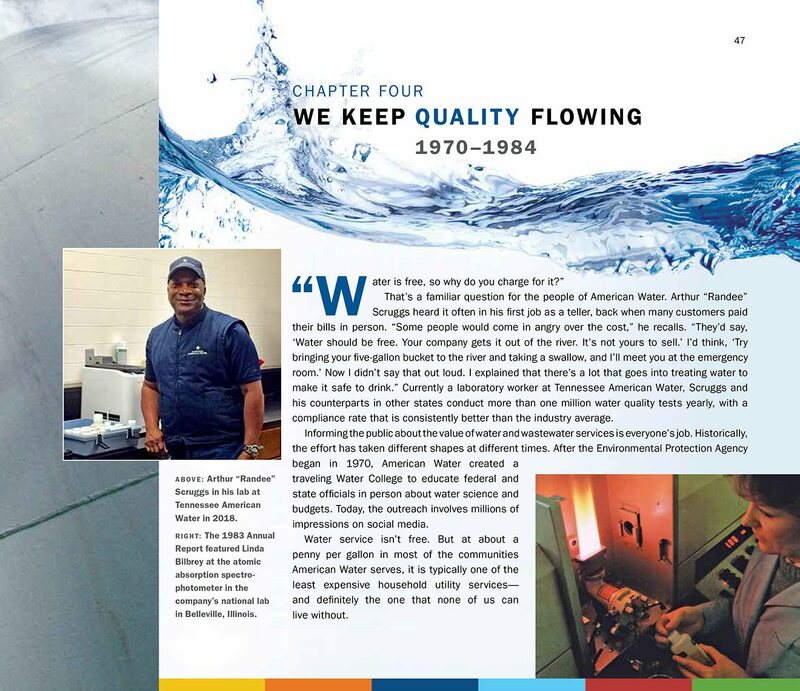 To develop the book, we spoke at length with a cross-section of the company’s 7,100 dedicated professionals, each of whom is a critical thread in the rich and colorful tapestry of American Water. 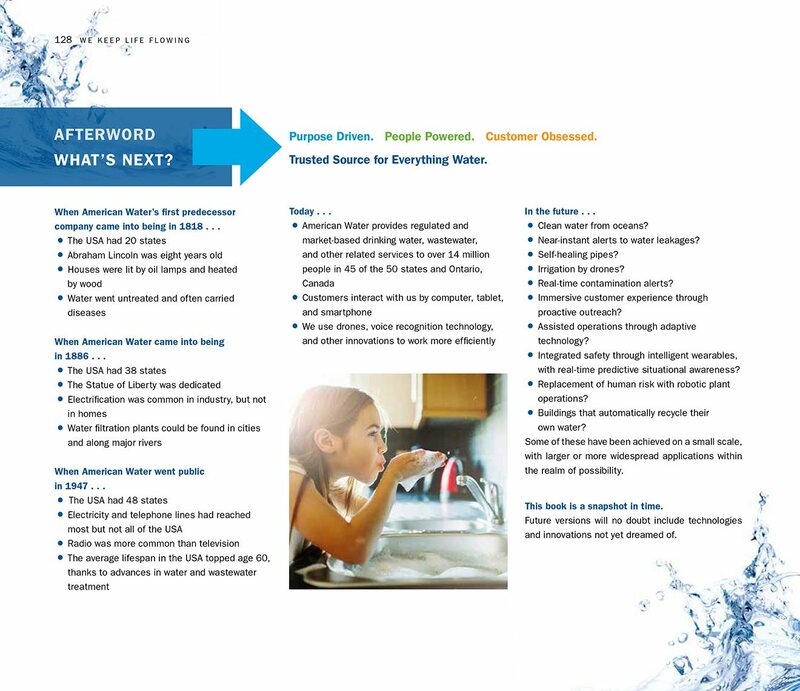 The cover features three inset photos that capture the evolution of American Water: Workers in Richmond, Indiana, in the early 1900s; Ila Patel, Water Quality & Environmental Compliance Lead for Coastal North, New Jersey American Water, in 2010; and corporate headquarters at One Water Street, Camden, New Jersey, in 2018. 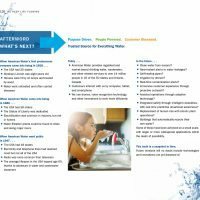 Examples throughout history of how American Water develops and implements solutions to meet the country’s many water challenges. 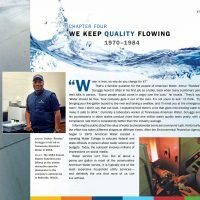 A look at the American Water Charitable Foundation, which proactively engages with community partners and strategically invests resources in order to empower American Water employees to make a positive difference in the communities where they live and work. The move to the new corporate headquarters at One Water Street in Camden, New Jersey, which marks a major step into the future and begins another great period in American Water’s story. 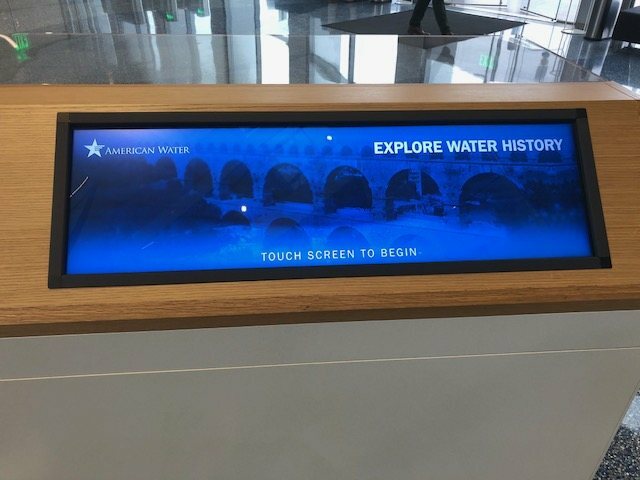 CorporateHistory.net also developed content for the timeline in the Innovation Center, an interactive exhibit in the lobby of One Water Street. Chapter openers start with an anecdote that summarizes the era. Closing page: an overview of what’s next. 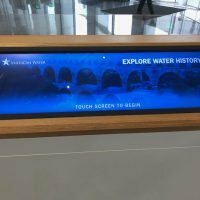 The lobby’s Innovation Center offers a multimedia immersion into the importance of water and the story of American Water.